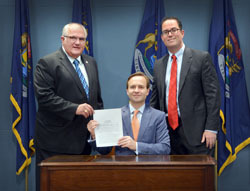 LANSING, Mich. — Sen. Dale Zorn, R-Ida, and Dr. Stephen Bell (right) joined Lt. Gov. 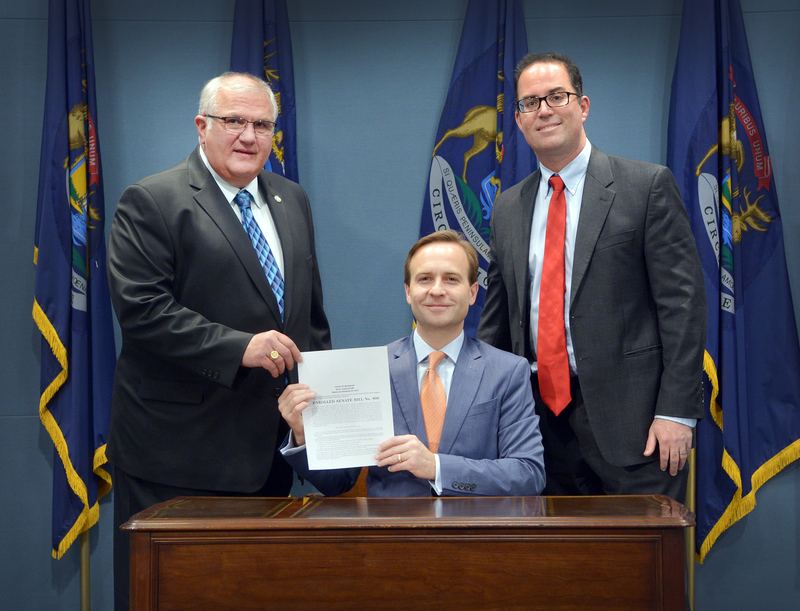 Brian Calley on Wednesday as Calley signed bipartisan legislation allowing school districts in the state to stock naloxone, an antidote used to treat an opioid overdose in an emergency situation. Bell is an osteopathic physician with a practice in Newport. He was a member of the Michigan Prescription Drug and Opioid Abuse Task Force, formed by Gov. Rick Snyder in 2015 to create a comprehensive statewide action plan to address prescription drug and opioid abuse. Bell is currently a member of the Michigan Prescription Drug and Opioid Abuse Commission, created in June 2016 by Snyder to help implement the task force’s recommendations. 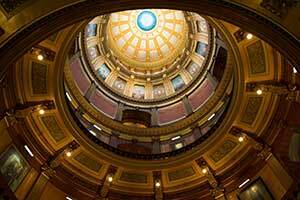 Senate Bills 805 and 806 were sponsored by Zorn and Senate Minority Leader Jim Ananich, D-Flint. More information about the bills is available by clicking here.